Manufacturer of a wide range of products which include plasma flame cutting cnc controller, turning lathe cnc controller, punching cnc controller, milling drilling cnc controller, go nesting software and plasma / flame cutting controller. 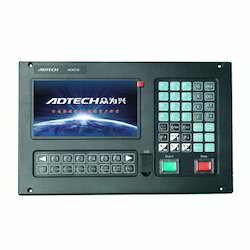 We are renowned firm developing widely demanded Plasma Flame Cutting CNC Controller. Equipped with state of art hardware interpolation technology, the offered model is gaining huge acclamation across the industry for its unmatched performance. It is a programmable device used for precise cutting and engraving functions in metal working and manufacturing industries. Further, the sleek and space saving model is accessible from us at a leading price. Real-time multitasking control technology and hardware interpolation technology. 7" real color display screen, Friendly, and easy operator interface. It can control upto 3 Stepper/ Servo Axis. 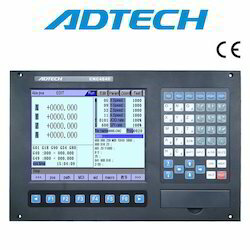 Our technological adeptness has made us the pioneers of developing high quality Turning Lathe CNC Controller. It is a universal type model used for controlling turning and lathe machines. Suitable for thread tapping, linear interpolation and circular interpolation the offered model is also used for manufacturing of electronic gears. Further, the offered model can execute international standards G code and can be ordered from us at a nominal price. 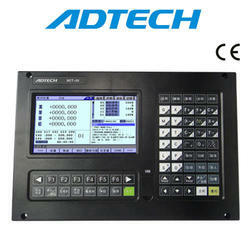 Universal Type Turning/ Lathe CNC Controller is two axis controller. The system adopts tutorial programming,executes international standard G code, and holds several functions such as thread tapping, too change, linear interpolation, circular interpolation, backlash compensation and electronic gear. Open CNC platform, capable of the custom-tailoring private system according to the specific requirements. 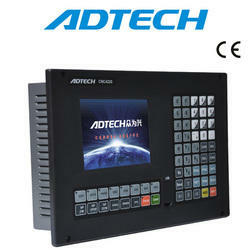 Leveraging on wide expertise, we are instrumental in developing high quality Punching CNC Controller. The offered device is especially engineered for punching functions and due to its next generation processing it effectively converts into codes. Featuring template programming function for timesaving processing the offered model is best suited for repetitive punching applications. Supports twice relocation and clamp avoid function. Supports different modes single, continuous and step. CAD compatible and convert into codes. We are highly experienced firm gaining wide acclamation for the quality of our offered Milling Drilling CNC Controller. The offered model is second to none in terms of its components, its enclosure and the next generation technology that ensures precise milling, drilling and boring cuts. It is fully compatible with latest programming software and due to its innovative menu system the offered model becomes the best device used with high end CNC systems. Supports 4 axis servo motion control. 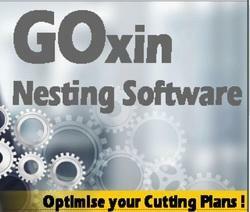 We provide Fast CAM nesting software for both plasma and flame cutting machines. 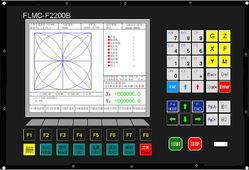 We provide CNC Controllers for Plasma / Gas Cutting machines.